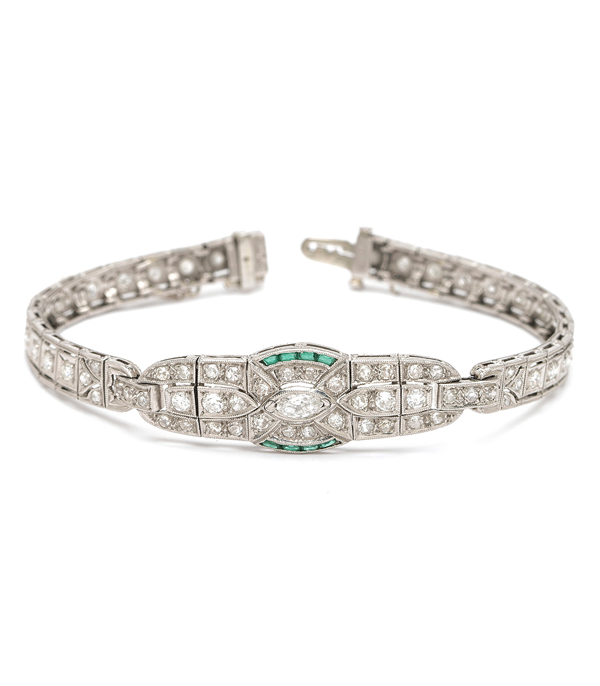 Diamond bracelets have gone in and out of fashion, but one thing that doesn’t change is the impeccable style of Art Deco bracelets such as this one. Timeless in platinum, diamonds and dainty calibre cut emeralds, this modestly-scaled diamond bracelet hugs the wrist tightly with effortless sophistication. For those who enjoy a good arm party, this piece will be the focal point of your stack. For those with a more subdued style, this bracelet functions equally brilliant as the solitary jeweled object on the wrist. 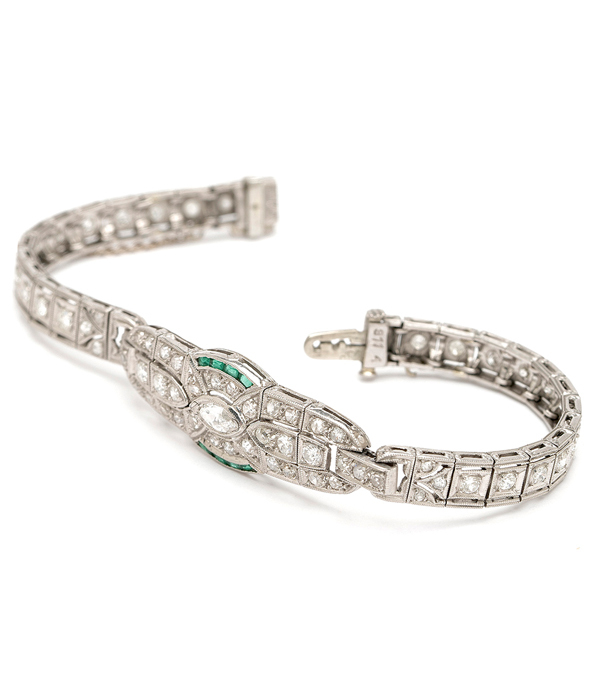 Any way you wear it, this Art Deco diamond bracelet is one for the ages! Categories: Art Deco Jewelry, Vintage Bracelets.